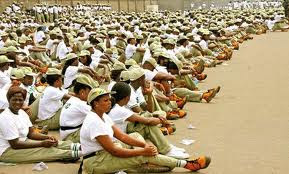 When I read recently that the ten National Youth Service Corps, NYSC, members, who were victims of April 2011 bomb blast in Suleja, Niger State, were complaining that President Goodluck Jonathan is yet to fulfill his promise of employment after service to them, then I pondered, what if they had died? Like the popular quotes would go, “let the living praise the Lord”… “Dead men don’t talk” and the likes, I will say they ought to thank God and forget about the Nigerian government because if they had become dead men, by now, they wouldn’t talk. It's now two years since many of the corps members left this world in the process of serving their fatherland under the sun and in the rain with dedication and selflessness. The broad hand of death caressed them in the nakedness of our eyes and whisked them away with impunity. It was shocking news that came mocking at Nigeria’s insecurity, discord and dishonesty in this democratic dispensation. It placed every family whose children were and still are serving in pensive and melancholic situations. Even as it is at the moment, I don’t think any parent wants his or her child to serve in the north since that incident. However, the federal government then came, flashed the families of the slain Corps members with five million naira each and gave all sorts of flimsy promises that will never come to pass. Today, the promises are still barren and it seems to me a tract of hopelessness. Ever since the dastardly act was witnessed in the wake of April’11 election, the families of the deceased are still begging and hoping for the government to fulfill their pact with the various families. What a country of broken promises. This is a country where no hero is mirrored. If you die, you die for yourself. Does it even concern the authority how you died or for whom you died? No it does not. They are busy thinking of the next elections instead of the next generation like James Freeman Clarke would say. My plight is not whether President Jonathan made a promise which he cannot glaring keep to those still living, but it is hinged on the unanswered question as to why he should make a political promise to the dead. The pact was made by the federal government to the families of the dead which invariably paved way for an agreement between the federal government and the dead. According to President Jonathan, the token was the country's way of demonstrating its appreciation for the great sacrifice which the young patriots had made in the national cause, and that they were going to permanently immortalize them as a source of inspiration to all. This same promise was made when Sam Sochukwuma Okwaraji died in 1989, 24 years after, has he been immortalized? I believe they must be echoing in the darkness of their graves, asking ‘when’ it will be. In the case of the innocent ones who were killed in violence, no peace can be sustainable if justice is not given to them because they will keep haunting their killers and hounding the country until it settles for a holistic redress of all societal anomalies. Come to think of it, is it not discomfiting that a country where billions are being laundered every now and then cannot give jobs to the family members of the deceased? Yet, some of the federal government agencies will recruit every year; those in charge will surely fix their own people. National Identity Management Commission (NIMC), INEC, Federal ministries of Foreign Affairs, Education etc. and some others that are still in the motion of recruitment can be ordered to reserve certain positions for the affected individuals as a kind of preferential treatment to them. Like Lois McMaster Bujold would say, the dead cannot cry out for justice, it is the duty of the living to do so for them. The only true principle for humanity they say is justice; and justice to those who lack the strength to fight for themselves is absolute protection and kindness. Sometimes, one would wonder whether it is worth it fighting for Nigeria. Which lad will think of being patriotic when the country’s economy has been bastardized and the little opportunities meant for the generality of the citizens have been exploited and squandered by the few privileged ones up there with parochial system of handling the country? If anyone tries to embark on a voluntary service, one would no doubt end up in a very heartrending tale for a life time just like the Suleja bomb blast victims. Our country does not think of giving life to those in the slums but instead, the federal government will keep negotiating with and sponsoring hoodlums. I keep wondering what they can offer to the well being of the country after their courses. Let’s assume that every young Nigerian now resorts to violence, I think by then the government would be looking for us everywhere to negotiate and sponsor us abroad. Since government cannot give equality, justice or even anything, should it now be that we have to grapple with the status quo and grab justice by force? The ghosts of the innocent dead are whispering around looking for justice. I admonish the victims (former corps members) of the Suleja bomb blast that our dear government is not reliable and any promise made in a political scene is sheer PR. You all have to get on with your lives with the hope of becoming someone that our nation would eventually need someday. This is exactly what Victor Moses did years back when his parents were brutally killed in the Kaduna riot of 2002. If he relied on his country, he would have been denied. Be wise, be bold…be safe! Wow! This is a teardropping article. I had a friend that died in Bauchi. But was never even counted among those that died. I still weep each time I see NYSC members.